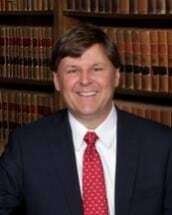 Mr. Jim Jenkins is a partner with the Law Firm of Thigpen & Jenkins, LLP. Since Thigpen & Jenkins opened in 1993, Mr. Jenkins and his staff have helped thousands of injured clients across North Carolina. The firm has since expanded and includes three offices located in Southern Pines, Biscoe, and Robbins, with all offices servicing numerous surrounding counties in the Piedmont of North Carolina. Mr. Jenkins is a member of the North Carolina Bar Association as well as member of the North Carolina Advocates for Justice. He is also a member of the Million Dollar Advocates Forum* an honor reserved for lawyers who have achieved a trial verdict, award, or settlement in the amount of $1,000,000.00 or more. Mr. Jenkins was born in 1963 in Charlotte, North Carolina. He graduated in 1985 with a Bachelor of Science Degree in Business from Wake Forest University. After working as a stock broker for 3 years with Dean Witter Reynolds in Winston-Salem, North Carolina, he was admitted to the Campbell University School of Law in Buies Creek, North Carolina. At Campbell, Mr. Jenkins was a research editor of Campbell Law Review as well as a member of the American Bar Association Moot Court Team. Mr. Jenkins has been married to his wife, Stephanie Jenkins, since 1990 and has two children, Brittany and Connor. He is a member of Community Presbyterian Church in Pinehurst, North Carolina where he has served for the past several years on the Church Personnel Committee. In his spare time, he enjoys spending time with his family and playing tennis.